Being stuck at home really isn't all that fun. Being stuck at home studying is even worse. So I was very happy when Vince agreed to taking me out for lunch, at none other than Ichiban! I love this Japanese restaurant at lunch time. They have great deals in the afternoon and their Japanese food is pretty good! It's not the best I've ever had, but a fantastic fix for lunchtime! Everytime we go, we get pretty much the same things, and the food flavour and quality is great as always. 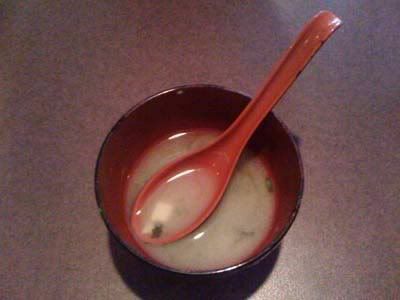 At the beginning of the meal, everyone receives a complimentary bowl of miso soup. The miso soup here is pretty good, not too salty, accompanied by some tofu and seaweed. It's a nice appetizer to have and start your meal off with, warming up your tummy for the rest of the meal! As you guys might already know, I'm not a big fan of raw fish, heck, I don't even eat it. It's too slimy for me! But when it comes to raw beef, BRING IT! However, the beef tataki really wasn't on point. The beef was thickly sliced, the sauce too salty, and the seaweed to accompany it wasn't cut, but rather one long strand :( I was a little disappointed, not going to lie. But all the other times before it has been good! I'm just hoping it was an off day, and I will give it another shot the next time I'm there. 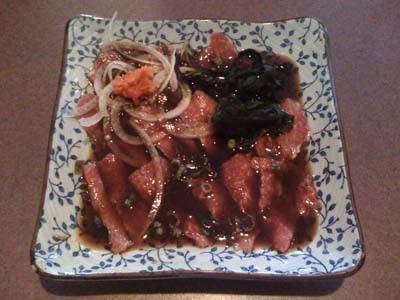 I just love my raw beef with ponzu sauce! 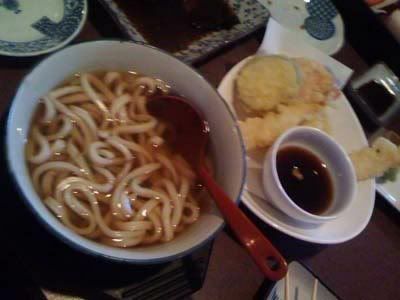 For my main, I picked the tempura udon, another must have in my Japanese meals. Perfectly cooked, chewy noodles in clear broth - I am the noodle queen! The udon here at Ichiban is just like it is at other restaurants, there isn't much you can do to mess it up besides overcooking the noodles! Tempura udon - my Japanese staple! 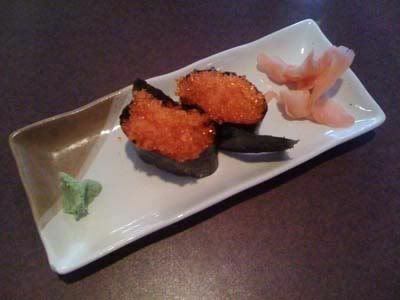 Another dish I like to have is the Tobiko, otherwise known as Flying Fish Roe. I love the texture of these little eggs, and how they're crunchy and bursting with flavour once you bite into them! mm, the tobiko was very fresh, perfect for my lunch! Vince on the other hand ordered a bento box filled with agadeshi tofu, teriyaki beef, sushi rolls & nigiri, fresh salad, and rice. The only complaint I had about the bento box is the fact that the salad is so plain! Theres nothing unique about it! Most restaurants will feature a unique dressing concocted with certain ingredients in their kitchen (for example, Mikado's salad dressing is my fave! ), but Ichiban just pours italian dressing overtop of the fresh veggies. 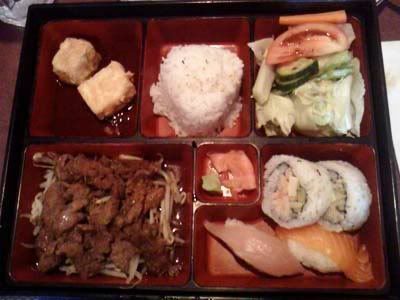 Otherwise, the bento isn't bad, especially for the price of $10 (or $10.95? I don't quite remember). The two of us frequent this restaurant pretty often, and we're in & out within an hour for less than $30. As long as there's great food and service, we'll continue to visit this spot!